I had an amazing experience at Champs this summer and I’m excited to tell you all about it. 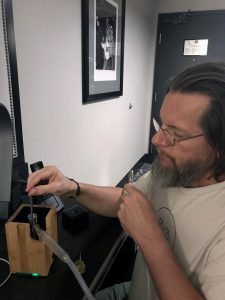 There were some new and exciting dry herb vapes and portable dab devices as well as fantastic networking opportunities. The Champs Tradeshow is a business-to-business event dedicated to cannabis and similar counter-culture niches. There’s a lot of bongs, pipes, vapes, CBD, etc. It’s a meetup for cannabis-related inventors, artisans, manufacturers, distributors, and reviewers. People come from all over the world to attend. My trip to Champs Summer 2018 was sponsored by Boundless Technology. The cannabis and dry herb vape industry is young and there are always new products launching. Champs Summer 2018 didn’t have a ton of new and exciting product launches, but there were still several products that really captured my attention. 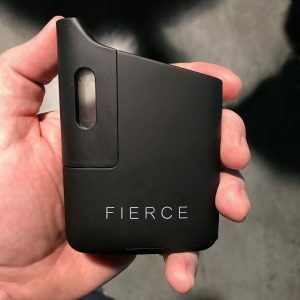 Healthy Rips Fierce – The Fierce is the latest dry herb vape from Healthy Rips. I first sampled the Fierce back in February and I’ve been eagerly anticipating its arrival for 6 months. The Fierce is the new Big Brother to the Healthy Rips Fury 2 – a very popular and very effective portable dry herb vape. The Fierce utilizes the same function and features but doubles down on battery power and bowl size. In addition to the additional size and power, the Fierce also brings several note-worthy upgrades including removable battery, USB-C charging, an adjustable session timer, battery charging dock, and an all-new glass-mouthpiece. The Fierce is currently available for preorder, with units shipping later this month. This is probably the most anticipated dry herb vape of the year after the Boundless Tera. Ditanium Desktop Vaporizer – The Ditanium looks and feels like a desktop vaporizer from 2010, but it has some really cool features and it’s made very well. The Ditanium is powered by a ceramic heating rod similar to vapes from 7th Floor Vapes. The heating rod is covered with a titanium sleeve with a built-in quartz dabbing surface. The Ditanium vapes dry herb with convection heat from the titanium sleeve and ceramic rod. The quartz dabbing dish is attached to the top. This desktop vaporizer can vaporize both dry herb and concentrates at the same time. Stickstones brought a unit back to his hotel room and we thoroughly test it. The Ditanium starts around $200 and goes up depending on materials and finish. I think this vape can fill a need in the market, but the desktop vape scene hasn’t really been evolving in products or in userbase. I’m surprised to see a new whip-based vape and would rather see native water pipe attachment. The MIQRO is easily palmable, making it one of the stealthiest vapes in terms of size. Davinci Miqro – Davinci launched the Miqro a few days before Champs and I’ve already launched my initial Davinci Miqro Review. Davinci had their full line-up of vaporizers on display including all of the fabulous color options for the Miqro. The Miqro is one of the smallest battery powered dry herb vapes available and it was a big hit at the Champs Tradeshow. While many vape enthusiasts prefer more power and battery capabilities, most consumers are looking for ultra small and convenient vapes. The Davinci MiQro is not an IQ replacement, it’s more of a compliment. The MiQro is for the dry herb vape user who wants the smallest portable weed vape possible. The Miqro swims effortlessly in a crowded pocket or purse while still functioning as a high quality dry herb vape. Xvape Vista Mini – This one has my full attention. The Xvape Vista Mini is an ultra-portable dab rig with built-in bubbler and all-ceramic dabbing surface. It promises Puffco Peak performance at 25% of the price! In addition to being VERY affordable, the Vista Mini also utilizes wireless charging and comes with a carb cap leash. I brought home an Xvape Vista Mini to test and provide manufacturer feedback. At this time I’m unable to speak of its performance – but I’m listing it here because I’m excited about it. The final version of the Xvape Vista Mini will be released later this summer and I’ll be reviewing it as soon as possible. 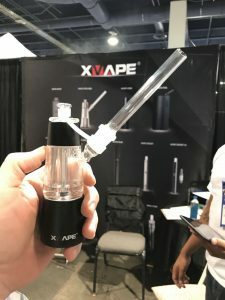 The Xvape Vista Mini will retail for less than $150. Impressive! Mini Rigs from MJ Arsenal – These little bongs and recyclers come with a banger for $49. These mini dab rigs are cute, but they’re also well-made and packaged nicely. MJArsenal offers a variety of these ultra-affordable tiny bongs and recyclers – all ranging from $30-$50. 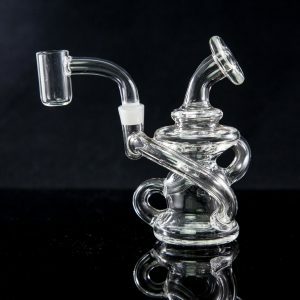 Don’t get me wrong, I’m not blown away by cheap Chinese bongs – MJArsenal is taking out the legwork of finding reliable and quality Chinese glass and making it easy for anyone to grab a cheap dab rig. 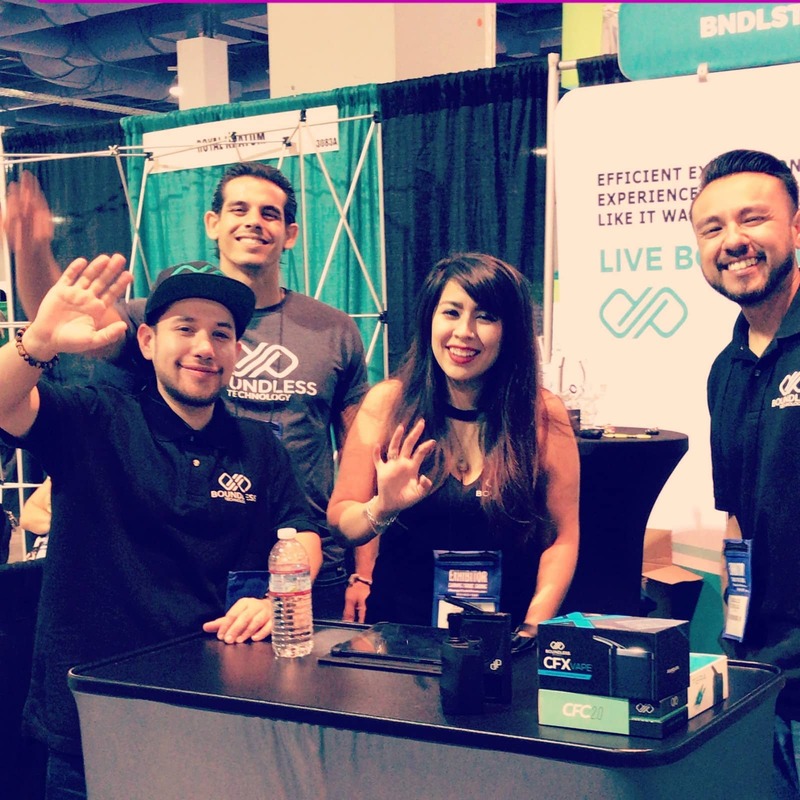 Thanks again to Boundless Vapes for sponsoring this content and the trip to Champs Tradeshow! The next Champs show is in Florida in September. The big Champs event is in February 2019. I have a question, is there a “consumer” show, where anybody can go?